Two of the museum’s halls already achieved LEED certification separately, including its Conservation Hall, which is LEED Gold. But Monday’s announcement marks a building-wide rating seldom seen for such building types—the hulking museum, made of limestone and Georgian marble, comprises nearly half a million square feet. Its 3D Theater is also certified under LEED for Interior Design & Construction. Greening a museum that dates back to the 1893 World’s Columbian Exposition was no simple task. (The current building opened in 1921, originally planned by Daniel Burnham and designed by his associate William Peirce Anderson.) In many places its neoclassical stone walls don’t have an air gap with the interior brick and plaster, making it difficult to regulate the building’s temperature. And, as was made clear when the museum applied for LEED certification, it doesn’t function on a typical building’s schedule. 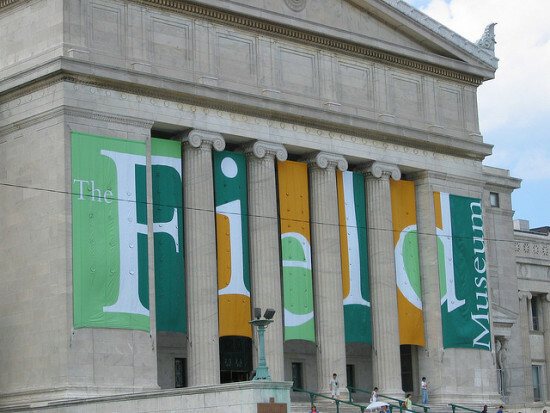 “A normal building might shut down at 5 [o’clock], but not for us,” said Ernst Pierre-Toussaint, the museum’s director of facilities, planning and operations. More than 99 percent of the museum’s collection is in storage, which has to be climate controlled and monitored constantly. Pierre-Toussaint said improving energy efficiency has been a goal for at least 15 years. 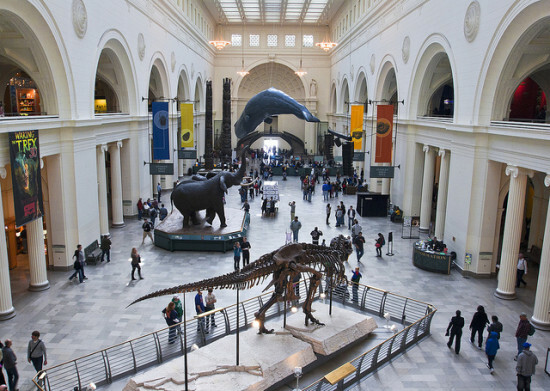 Working with the Delta Institute—an environmental consultant that worked with the Field Museum on the project—Field Museum staff replaced about 30 percent of the building’s 6,700 incandescent bulbs with LEDs, and installed 100 kilowatts of rooftop photovoltaic panels. Pierre-Toussaint said they hope to install up to 220 kW more—enough to offset 10 to 15 percent of the building’s peak electricity demand —by 2025. The museum accounts for all of its natural gas consumption by purchasing renewable energy credits and carbon offsets. Much of the certification work came down to mechanical system logistics. The museum has 11 separate electric meters, and 13 for water use. Since some collections and accessible areas need to be heated—even during summer—while others are cooled, the museum installed demand-control ventilation to regulate air in sensitive exhibits individually. “We made huge strides over the past two years and are proud to share the results with our visitors,” said Richard Lariviere, the museum’s president, in a press release.